The new SOV-MH vehicles are based on the latest MkII version of Supacat’s HMT Extenda and provide a high level of commonality with the equivalent vehicles with other Special Forces. New Zealand is a new customer for Supacat and the latest defence force to join the HMT family. Designed for, and used by, the world’s elite Special Forces, the HMT Extenda is unique in being convertible to either a 4×4 or 6×6 configuration to meet different operational requirements. Its open architecture provides for various levels of protection and great variety in the roles and missions for which it can be configured. 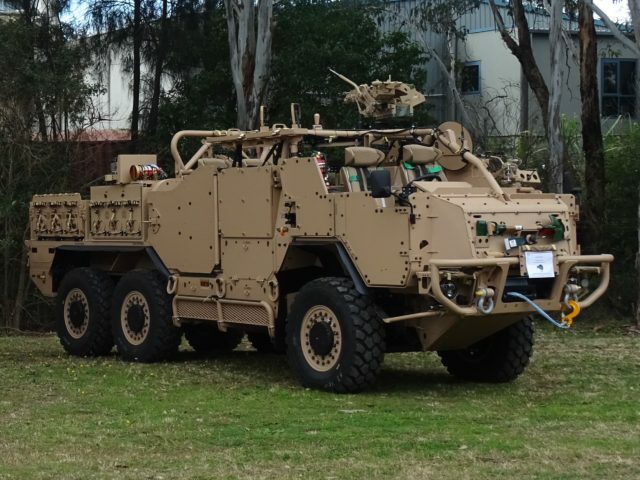 The SOV-MH vehicles were manufactured at Supacat’s existing assembly facilities in Australia using Supacat Team Australia members to manufacture and assemble the vehicle. This represents the first time that Supacat Team Australia members have exported completed vehicles and complements the opportunities already emerging for Australian suppliers to enter Supacat’s global supply chains.